Will FanDuel And DraftKings Crush The Competition In PA Sports Betting? Daily fantasy sports (DFS) market-leader DraftKings not only surprised, but frankly impressed sports betting industry stakeholders on August 6, when it became the first operator to launch a mobile sportsbook app in the state of New Jersey. The company, which had never previously offered sports wagering, got off to a more than two-week head start on its competitors, and successfully launched a slick and polished product even before conglomerates like William Hill and MGM could get their own to market, both of which already have plenty of experience operating sportsbook apps in Nevada. DraftKings’ chief DFS rival FanDuel also wasted no time in entering the sports wagering space. 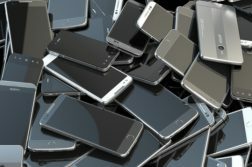 The brand, which merged with Paddy Power Betfair soon after the Supreme Court struck down PASPA (becoming the FanDuel Group), launched its own sports betting app on September 1 through a partnership with The Meadowlands racetrack. 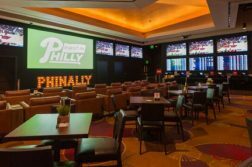 While there are now a total of eight sportsbook apps offered in the Garden State, the two DFS giants have already jumped out to a huge lead over the field, raking in far more revenue than mobile offerings licensed through other casinos and racetracks. But while DraftKings and FanDuel’s early success no doubt has the pair feeling quite confident about their prospects in in other states, will be DFS behemoths continue to rule when sports betting goes live in Pennsylvania? Play PA Online Lottery Now! First things first: Neither FanDuel nor DraftKings has officially submitted an application to offer sports betting in the Keystone State. So far, only five of the state’s 13 eligible casinos have paid the $10 million licensing fee to offer sports wagering at a live book and via a maximum of one online/mobile skin. Both companies, however, already operate regulated DFS sites in the state. Even so, all signs point to both FanDuel and DraftKings eventually finding their way into the PA market. FanDuel announced a strategic partnership with Boyd Gaming, a casino company which operates nearly 30 casinos across 10 states, in August. One of those casinos is none other than Valley Forge, a Category 3 casino resort acquired by Boyd in September. We believe that, even with PA’s sky-hi fees and tax rates, FanDuel will launch under the Valley Forge license sometime in the near future. DraftKings, for its part, does not have strong ties to any PA land-based casino, but its impressive showing in New Jersey, and its dominance in the PA DFS market, will make it an attractive potential partner for qualified sports betting licensees. That said, it’s likely only a matter of time before a partnership between DK and one of the state’s casinos is revealed. Will they slay in PA? Assuming DK and FanDuel enter the PA market, which we think they will, it’s quite likely that they will continue to dominate there, just as they are in neighboring New Jersey. First of all, the two sites have the daily fantasy industry almost completely cornered in the state. In September, the pair accounted for a whopping 99.5% of the entire DFS market, crushing seven other companies fighting to compete against the two juggernauts. DraftKings and FanDuel pulled in $1.17 million and $948,838 respectively during the month, a solid haul, but nothing compared with what sports betting could yield. For comparison, over in New Jersey, DraftKings partner Resorts took in $8.5 million in online sports wagering revenue during the month, while FanDuel banked $2.85 million. 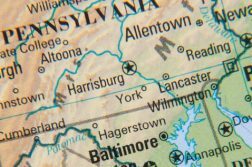 Even though the two companies may not yet be authorized to take bets on parlays and other traditional sports wagers in PA, Keystone State gamblers have come to know and trust both brand names, something which will give the pair a leg up when sports betting goes legal. In addition, DFS companies have been signing up Commonwealth sports gamblers for several years, and can easily leverage those lists to market their sports betting products to players they already know are interested in the vertical. DK and FanDuel will also come onto the scene with sports betting software which has been tried-and-tested in a real-world environment over in New Jersey. And if NJ is a guide, we can expect both to launch quickly, while other local PA casinos, unexperienced in the vertical, might take time to find their footing and work out kinks in their offerings. While the DFS giants may be able to hit the ground running, it doesn’t necessarily mean that they’ll have free reign in PA. There are a handful of Keystone State casinos which may just have the experience, the brand recognition and deep pockets to put up some fierce competition. Like DK and FanDuel, SugarHouse has also launched its own online/mobile sportsbook in the Garden State. The operator built its online casino platform from the ground up, and has partnered with Kambi to round out its NJ sports wagering offering. 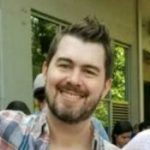 In its short time in the state, SugarHouse has carved out a large slice of the iGaming pie for itself through its innovative and unique product. In PA, the SugarHouse name is more well-known, thus the casino may enjoy even more advantages. The venue likely also has a huge customer list to which it can market their sports betting product. What’s more, local gamblers may opt to play with SugarHouse due to brand familiarity alone. With its real-world sports betting experience, SugarHouse can also likely deploy its product in its home state quickly and efficiently. On a more concerning note, in NJ, SugarHouse revenue doesn’t come close to that of DK or FanDuel. The operator’s casino partner took in just $620,000 in earnings in September, falling way short of DraftKings’ massive multi-million dollar haul. It will be interesting to see if SugarHouse can leverage its local reputation in PA when sports betting gets the green light. Both Parx and Penn National are also potential contenders in the fight against the DFS usurpers. Parx is the highest-earning casino in the state, banking over $455 million this year, and was the second operator to purchase a sports betting license. Parx’s regional popularity and its deep pockets could give its mobile app an advantage over both local and out-of-state competitors. Penn National is heavily involved in the state’s new gambling verticals, and was the first to snap up a $10 million sports betting license. The company has hesitantly, but steadily, gone all-in on expanded gambling, spending upwards of $77 million on iGaming and satellite casino licenses. There’s little doubt that the sprawling casino company will spend whatever it takes to make its online sportsbook a success. While Mount Airy hasn’t yet applied for a sports betting license, we think it will do so imminently. That’s because the casino has already partnered up with PokerStars to offer online poker in the state sometime in the near future. While it also has forged a partnership with 888, we think it’s likely that Mount Airy will launch a skin in conjunction with PokerStars’ online sports betting app, BetStars. Like SugarHouse, BetStars’ software has been tried-and-tested in real-world markets. BetStars has offered sports betting internationally for several years, and debuted its app in New Jersey in conjunction with Resorts Casino in September. It’s difficult to say how much revenue BetStars is bringing in, due to the fact that both it and DraftKings operate under the Resorts license, meaning their revenues are mixed together in reports. Our sense is that DraftKings brings in the overwhelming lionshare of the earnings (~95%) in those statistics, however. Whether BetStars can take a leading position in PA is still up in the air. While there are several local casinos which could potentially compete with both DraftKings and FanDuel, it’s likely that the two DFS giants will take the lead in the market, leveraging their ubiquitous brand recognition, solid software platforms and aggressive marketing tactics. Bill has over a decade of experience working in diverse aspects of the online gambling space. He is currently focused on legal, US online gaming, which he has reported on since the industry first became regulated in the country.